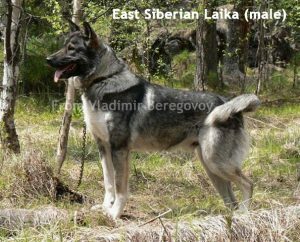 Laikas occurring on Russian territory belong to northern primitive breeds. 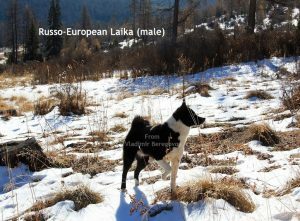 All Laikas are versatile dogs, but in certain parts of the country they became more or less specialised, depending on their use and environment. 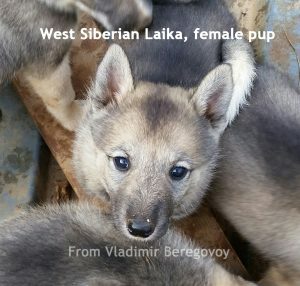 Here I will show only those Laika breeds of Russia that have been used primarily for hunting. They are dogs of the taiga forest zone. Laikas living with native peoples of the polar desert and tundra zones of Europe and Siberia became specialised for driving reindeer herds and/or pulling sleds. 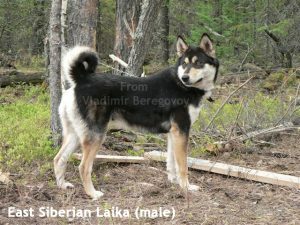 Although some of these dogs still can become good hunting dogs, their hunting ability is inferior to true hunting Laikas of the taiga zone. 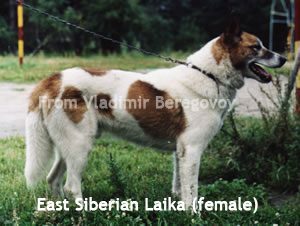 In the Russian language, the term ‘Laika’ originated from the word ‘layat’ that means ‘to bark.’ The word Laika simply means a dog that barks. Indeed, any hunting Laika is a bark pointer. Since prehistoric times, these dogs served native people as hunting assistants and as watchdogs. 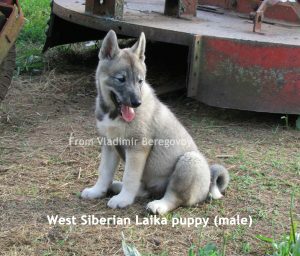 In most populated and industrialised parts of Russia, specialised hunting breeds with lop ears, such as scent hounds, sighthounds and bird dogs, gradually replaced Laikas. 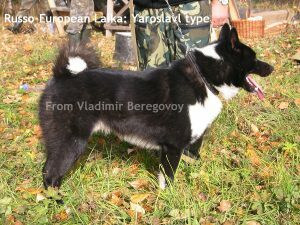 Some aboriginal Laika types still remain with hunters of remote northern and northeastern provinces of the country. 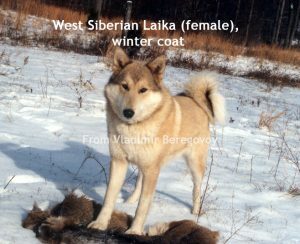 In the 20th c, Russians tried to save some hunting Laikas from extinction by importing them from different geographic regions of Russia and breeding them pure. 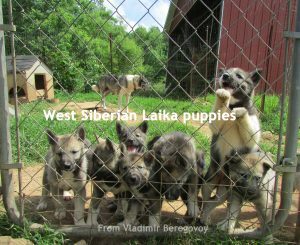 In the period from 193- to 1940 and after World War II, they established four breeds as purebreds: the Karelo-Finnish Laika, the Russo-European Laika, the West Siberian Laika, and the East Siberian Laika. The hunting style of all Laikas is generally similar. 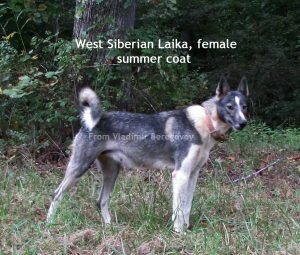 However, each Laika breed has its own advantages associated with adaptations to ecological conditions and the most popular game in the region of their origin. 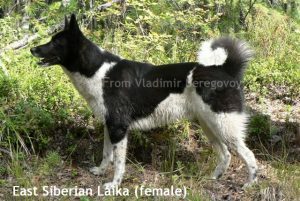 All Russian Laika breeds are very affectionate and devoted to the master and his family dogs. They are efficient and versatile hunting dogs. 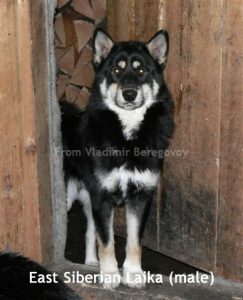 Their wolf-like appearance, endurance at work, strong health, intelligence and ability to survive under conditions of minimal care, make them particularly attractive for many hunter dog lovers who value primitive dogs.